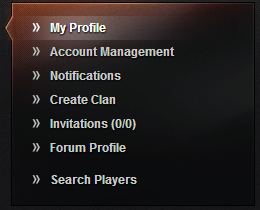 In order to create a clan, please login to our portal (http://worldoftanks.eu/) then go to your “Profile management” page. The clan creation process requires 2500 Gold. Go to our “Get Gold” page if you need to purchase some! Please be aware that there are some very important rules to adhere to when you’re creating a clan. We encourage all clan creators and clan members to read these rules carefully! Having a name and/or motto and/or logo that goes against those rules may result in the suspension of the clan and sanctions being taken out against the clan commander and officer(s) accounts. 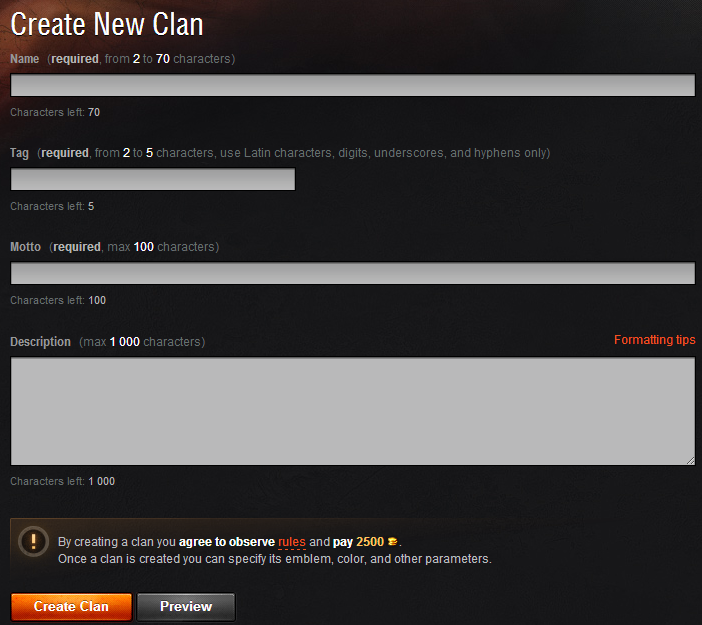 You can preview your clan’s profile, if you think you’re ready, click on “Create Clan”. Once created, you will have to recruit members. You can use the dedicated section of the forum to recruit other players. Once your clan is ready to fight, you can join the Clan Wars.